Attorney General William Barr says he is working to prepare Robert Mueller's Russia investigation report to be released to the public, with redactions. Attorney General William Barr has told congressional leaders that he anticipates being able to give them a redacted version of special counsel Robert Mueller's report on his investigation into Russia's interference with the 2016 presidential election by "by mid-April, if not sooner." Democratic lawmakers have been pushing for lawmakers to see the full report without redactions, though members of both parties have called for its public release. On Friday, Barr sent a letter to chairmen of the House and Senate judiciary committees — Sen. Lindsey Graham, R-S.C., and Rep. Jerrold Nadler, D-N.Y. — with an updated timeline. Nadler and other Democrats had asked for a complete release by April 2, but Barr said it would a take little longer to make the necessary redactions to protect grand jury material, sources and methods, and ongoing investigations, a process that Mueller is assisting in. Barr says that the report is nearly 400 pages long and that "everyone will soon be able to read it on their own" after he delivers it to key members of Congress. He does not plan to send the report to the White House first. Nadler responded that his April 2 deadline "still stands." The House Judiciary Committee chairman also said he talked to Barr about working with him to "request a court order to release any and all grand jury information to the House Judiciary Committee — as has occurred in every similar investigation in the past." Nadler added that he would take Barr's offer to testify in May "under advisement" but wants the attorney general to come before Congress "immediately" to explain his rationale for how he's handling the Mueller report. Nadler's Republican counterpart, ranking member Doug Collins, R-Ga., tweeted that the chairman "stands alone in setting arbitrary deadlines for that release and in calling the attorney general to break the law by releasing the report without redactions." While I join Chairman Nadler in looking forward to reviewing the classified information in the report at a future date, he stands alone in setting arbitrary deadlines for that release and in calling the attorney general to break the law by releasing the report without redactions. Graham said he appreciated Barr's update and that he looks forward to him testifying before the Senate committee on May 1, as Barr offered. 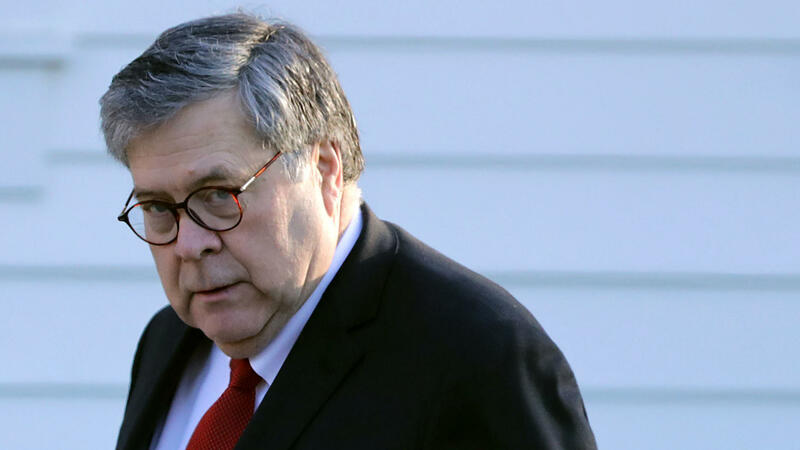 On Sunday, Barr released a letter summarizing the major conclusions in Mueller's report, which was delivered to him on March 22. In that letter to judiciary committee leaders, Barr wrote that Mueller did not find that Donald Trump's presidential campaign had conspired with Russia to impact the election but that the report did not take a position on whether Trump had obstructed justice. The White House and President Trump have touted the findings as vindication, having long said there was "no collusion" with Russia. In reaction to Barr's latest update on releasing the report, Trump said Friday that he has "nothing to hide."